Ladislav Goc is co-founder and president of IceWarp Limited and is responsible for the strategic vision of the company and the brand and business development. 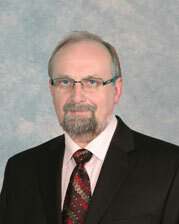 Ladislav has more than 30 years of experience as a developer, including micro-computer programming, computer hardware, and software database development. Prior to founding IceWarp, Ladislav founded Softir, which focused FoxBase/FoxPro development and distribution where he serviced the Czech government, the country in which he was born, although he now resides in the United States with his family. Ladislav has worked on notable projects all over the world (software development and professional digital audio/video studio). Besides his role in IceWarp he is also involved as a software architecture advisor on the international advisory board for consumer dispute resolution. Ladislav received his masters from the Czech Technical University Prague. 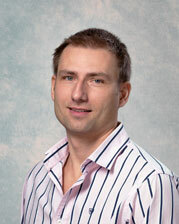 Jakub Klos is the Chief Technical Officer (CTO), and co-founder at IceWarp Ltd. He is 34 years old and was born in Prague, where he currently lives with his wife and two children. Jakub has been working in IT since he was 16 years old as a software engineer at his father's company which made industrial electronic control units. Six years later, he founded IceWarp and started the development of the Merak Mail Server. Since graduating with honors in Information Technology from the University of Economics in Prague, he has devoted his last 12 years, full time, to IceWarp. 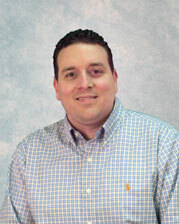 John O Cooper V is the current Director of Sales for IceWarp, and has been with the company for five years. John oversees all sales and marketing efforts for North America where he currently lives with his wife Heather and daughter Peyton. He started his career with IceWarp in November 2005 as a technical sales engineer, but was soon promoted to a sales manager and then to his current role in May 2009 and has been in that role ever since. He is also heavily involved with the marketing and brand management for IceWarp both in North America and globally. Chris Knott is the current Director of Technical Operations for IceWarp, and has been with the company for eight years. Chris is 36 years old and has been in the IT industry for 14 years. Before his time with IceWarp, Chris worked for a fortune 500 leader in telecommunications, NTT America (formerly Verio, Inc.). Chris started his career with IceWarp in 2001 as a level III support technician but was promoted quickly to the role of Senior Technical Account Manager, to Manager of Support Operations, and then now into his current role in 2008. 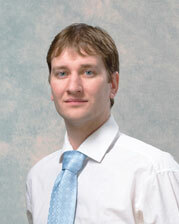 Chris also manages the company's Business Service Group, IceWarp's con­sulting team. Chris received his BS in Communications and Technology while attending Trinity University in Connecticut and currently resides in North Virginia with his wife and young son. Antonin Prukl is the current Development Manager for IceWarp, and has been with the company for seven years. Antonin is responsible for the cooperation of IceWarp's core development team located in Prague, Czech Republic, where he lives with his wife. He started his career with IceWarp in May 2004 as a technical support engineer, but was soon promoted to developer of IceWarp WebClient. 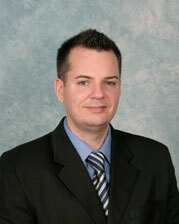 He was promoted to Development Manager in June 2008 and has been in that role ever since. Antonin earned a master's degree in Computer Science in 2007 from the Faculty of Mathematics and Physics at Charles University in Prague.